Think of link bait as the worm at the end of a fishing line and the fish being your target audience. In simple terms, link bait is usually a piece of content that catches your readers’ attention and entices them to your site, ultimately generating links and shares. 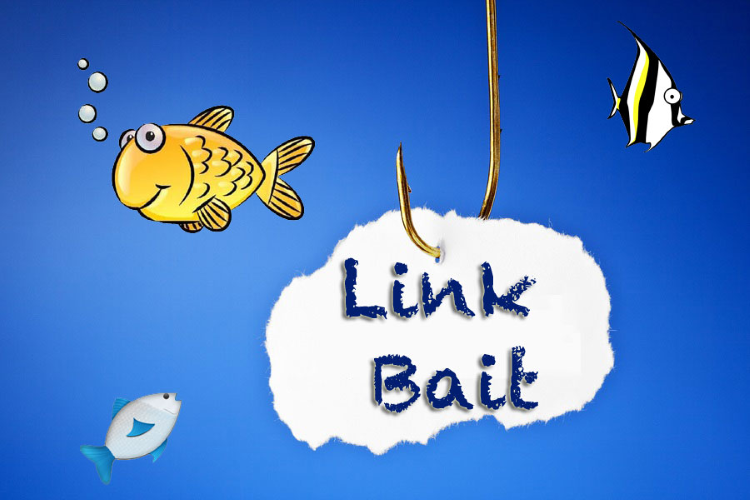 In the world of SEO, the term link bait is generally given to content that is good enough to drive inbound links to your website, generate shares and increase brand awareness, consequently boosting your off-site SEO. The generation of useful and interesting link bait can have a huge effect on your organisation’s search engine rankings. So why is link bait so effective and more importantly, how do you create it? SEJ produced an infographic around the growth of social media. This example demonstrates how it is not only copywriting that generates effective link bait, but how incorporating visuals also plays a key role. This piece of link bait produced over 3,900 shares! The success here was derived from the visually appealing and easy to understand data included within the infographic. SEOmoz created an article based around what search engines are looking for in their ranking strategy. The article was put together with over 130 contributors and included around 20 pages within one URL. This link bait was especially successful due to the depth of content and number of contributors. Another key success factor was that SEOmoz didn’t heavily promote the content themselves, instead, the well-trusted and recognisable contributors took on this role, making the link bait even more credible. As seen with SEJ’s example of link bait, visual content is king, or at least some part of “royalty” within link bait ideas. Whether it is photos, videos or infographics, visual content is a key factor in any link bait strategy. Research from Hubspot suggests that “visuals are processed by the brain 60,000 times faster than text”, and “publishers who use infographics grow in traffic an average of 12% more than those who don’t”. Producing valid visual content provides your reader with an easy to process and interesting source of information, meaning the ease of their user experience and the likelihood of them sharing the content is increased. Providing your readers with fresh content and interesting data is an effective method of producing credible and interesting content. Nobody wants to read posts with regurgitated content available on every other related site. If you are producing never seen before statistics or differentiated view points on your topic, then the consumer’s perception of your site immediately becomes one of an industry thought leader, thus they are more likely to link, return to and recommend your site. If possible, try and find new data resources that will provide you with new and unique research or opposing industry data that will make your content stand out from the rest. Everybody loves a little dispute every now and then. Controversial content usually generates high media coverage, thus driving higher traffic. Do make sure you are passionate enough about the refutable topic to be able to demonstrate some credibility and enthusiasm behind your counter argument though. Don’t go over the top! Don’t be controversial just to be controversial. Use your opinion to your advantage. If you feel as though you have a valid point that could be raised to contest a previous industry topic, then make your stance and provide the reader with a strong debate. Remember, always stay “likeable” and make sure you are not going to offend any possible readers, keeping the controversy light hearted. If you need any ideas, then Chitraparna provides an interesting article including examples of well thought out controversial content that succeeded. A blog or post title is 9 times out of 10 the first thing that a potential reader will take into account when deciding whether or not to view your content. If your title lacks a sense of excitement and engagement, it is likely the potential clicker will keep on scrolling. Creating a compelling title is without a doubt one of the most important factors in gaining click through rates. Try to generate a strong “Hook” when deciding on your title, making sure you know which sort of “Hook” to go for that will fit best with your target audience. Todd Mailcoat wrote a great article that demonstrates the different hooks you can use, the benefits and when is best to use them. But remember, with a great title comes great responsibility. If your content is not up to scratch, the visitors time on page will be extremely low, therefore no title is good enough to generate good link bait without effective content to go with it. Producing competitions through your blog or site is not only a good way of increasing exposure, but also can be used to generate inbound links to your website. Competitions are especially effective due to the fact that each participant will most likely link to your website, as well as promote it via their social feeds, meaning free exposure and links for you. Soliciting sponsors for your competition on sites such as Buzzfeed, is also a great way to increase the “noise” prior to your competition, ultimately dramatically increasing the awareness of the competition. In order to produce a great competition that provides the desired traffic, make sure you research into your audience’s interests and behaviours, so you can ultimately provide a competition that is both relevant and engaging. Link bait can be great in terms of off-site SEO and brand awareness, but it is important to remember that not all link bait can have a positive effect. Make sure before delving into any link bait activity that you fully understand what your audience want and what they will find valuable. Also, do not swamp them with link bait – make sure there is a good balance between strong regular content spruced up with the occasional link bait, otherwise you may find that their attention may dwindle.